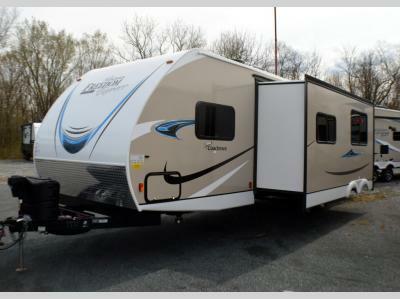 This Freedom Express Select 29SE travel trailer allows you to take your larger family and friends with you each time you take off to the campground or family farm. After setting everything up, you can take your tow vehicle to the local store to get your groceries. Once you get back, be sure to relax in your own private bedroom while the kids play and laugh in the rear bunkhouse with quad bunks. You will also find extra sleeping space on the U-shaped dinette and sofa slide out. There are full kitchen and bath amenities to keep everyone fed and clean the whole time. 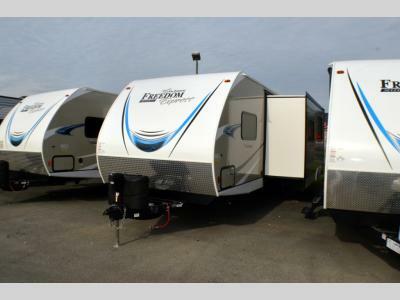 You can store all your items in the wardrobes and cabinets throughout, plus the exterior pass-through storage allows for some larger camping items. 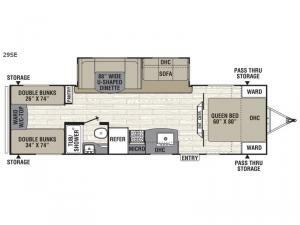 Take a step inside after looking around the outside, to see how perfect this model is for your future plans. 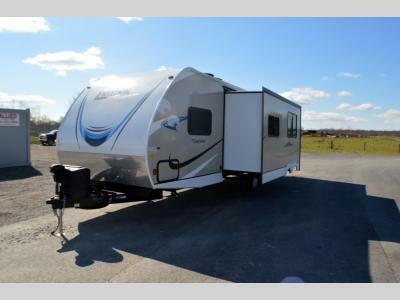 With any Coachmen RV Freedom Express Select model you will enjoy four seasons of traveling with a heated and enclosed underbelly, plus luxury features in a value packed travel trailer. All you need is a mid-size SUV or half-ton truck to start your adventures. 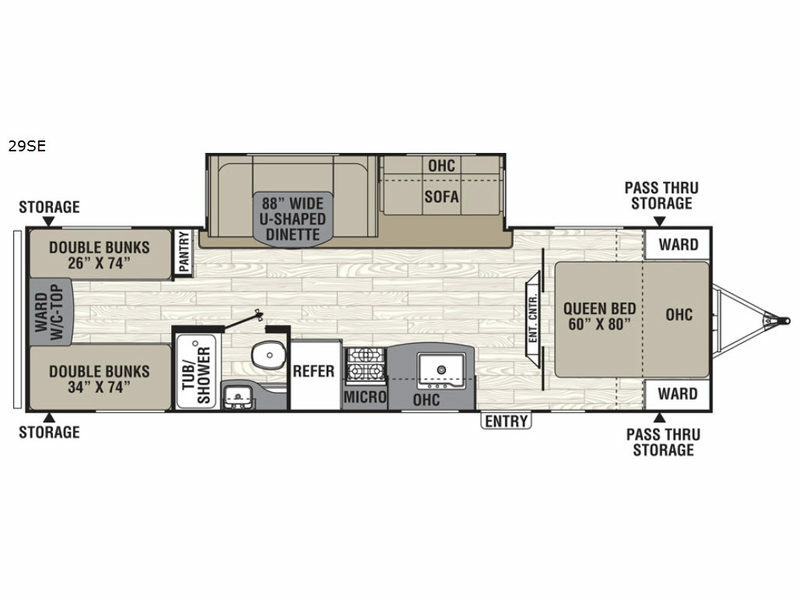 Inside you will find congoleum diamond flooring, night shades, a queen mattress with a two-tone bedspread, plus full kitchen and bath amenities including a bathroom skylight for more natural lighting. You will also find plenty of entertainment with the AM/FM/Bluetooth receiver, the two interior and two exterior speakers, and the TV and radio antenna with a booster. Come choose your favorite model today!